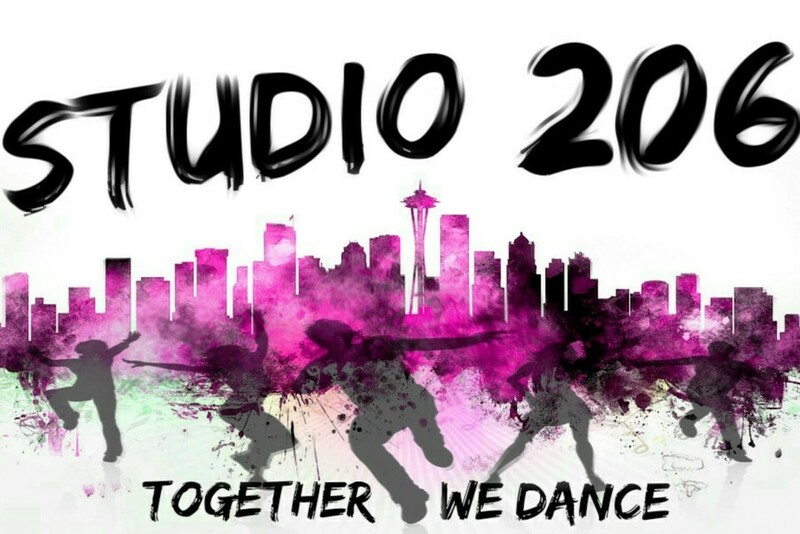 Start taking classes at Studio 206 and other studios! Urban Dance Fit, "UDF,"- is fun, high impact and an exhilarating class that gets your body moving to Hip-Hop,KPOP, Top 40s, House, classics and much more. Created by owner and dance instructor Nicole Ellis, this class is designed for the person who takes his/her fitness to the next level. This class does require consistency to pick up choreography, but in no time you will be ready to show off your dance skills. There are no limitations on the fun music that this class has in store for your cardio workout. There are no upcoming “Urban Dance” classes on this day. Every Class we offer is for all levels. However, we do have classes that are a little extra! Get ready to sweat, dance and feel the beat of the music through your soul. Make sure to have an open mind if this is your first dance fitness class, what seems impossible changes drastically with consistency and dedication. Bring your workout gear, water, towel and energy. We will see you on the dance floor! The studio is located upstairs in the Historic Rainier Brewery Building - streetside to Airport Way S. The studio is on Southend of the building - above Glacier Windows, opposite side to Tullys (which is on the Northend). Look for all the studio signs that lead you in the direction of the studio. Parking is free up to two hours near the Tully's. This class was AMAZING!!! Nicole is a wonderful teacher with great energy!!! The studio was cute and had parking (which seems rare here)! I am going back again this week! I can't wait!!!!! So fun! Great way to move while having fun. Super fun. Not for the uncoordinated. Nicole is amazing and breaks down the steps and makes the dancing so fun and the hour go by so quick! I love this class. The instructor brings a lot of energy and you'll definitely be sweating few minutes into the class while having a ton of fun. This is a workout class...not a technical class. Everyone does the dance at their own capabilities and you just get better and better with each class. Definitely don't expect to keep up first time around...just keep moving and have fun. Overall, I think this is an awesome cardio workout with some routines focusing on strengthening specific areas. Good fun! Instructor was encouraging and had great energy, definitely would sign up again. Super fun class. Def takes a couple of times to get the moves. It feels a bit clique though if you get there early cuz most of the people know each other. This class is so fun! The dance can be a little hard to follow but I think after a couple of classes it will be easier.